USCIB Senior Director Eva Hampl participated in the Fly-In organized by Tariffs Hurt the Heartland the nationwide campaign against tariffs, combining the efforts of Farmers for Free Trade and Americans for Free Trade, of which USCIB is a member. Groups of representatives from associations and companies covered over 150 meetings with Senate and House offices from both sides of the aisle over February 6-7. 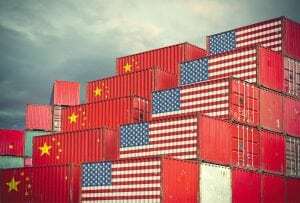 To underline these points, a new study launched showed that in the event that tariffs of 25% go into effect on March 2 on List 3, combined with various other tariffs and retaliation already in place, the net impact on U.S. jobs will be over 900,000 and the annual impact on a family of four over $750. For the complete study, please click here. There are two pieces of legislation that were introduced in in the Senate the week of February 4, both of which have House companion bills: (1) the Bicameral Congressional Trade Authority Act and (2) the Trade Security Act. Both attempt to push back against the President’s authority on tariff actions. United States Trade Representative Robert Lighthizer and U.S. Secretary of the Treasury Steven Mnuchin will travel to Beijing for principal-level meetings on February 14 and 15, and these meetings will be preceded by deputy-level negotiations beginning on Monday, February 11.